(b) if an exclusive economic zone has been established to the full extent permitted, a continental shelf subject to the coastal state's jurisdiction exists beyond the 200 nautical mile limit, if the topography of the sea-bed displays shelf character. The shelf may not exceed 350 nautical miles from the baseline from which the territorial sea is measured or 100 nautical miles from the 2,500 meter isobath, a line connecting the depth of 2,500 meters. If an exclusive economic zone has been established - and this will be the general rule - two legal regimes exist with regard to the sea-bed subject to coastal state sovereign rights. Part of the shelf (sea-bed) is then subject to the regime of the exclusive economic zone and is governed generally by its provisions, which include reference to continental shelf provisions. 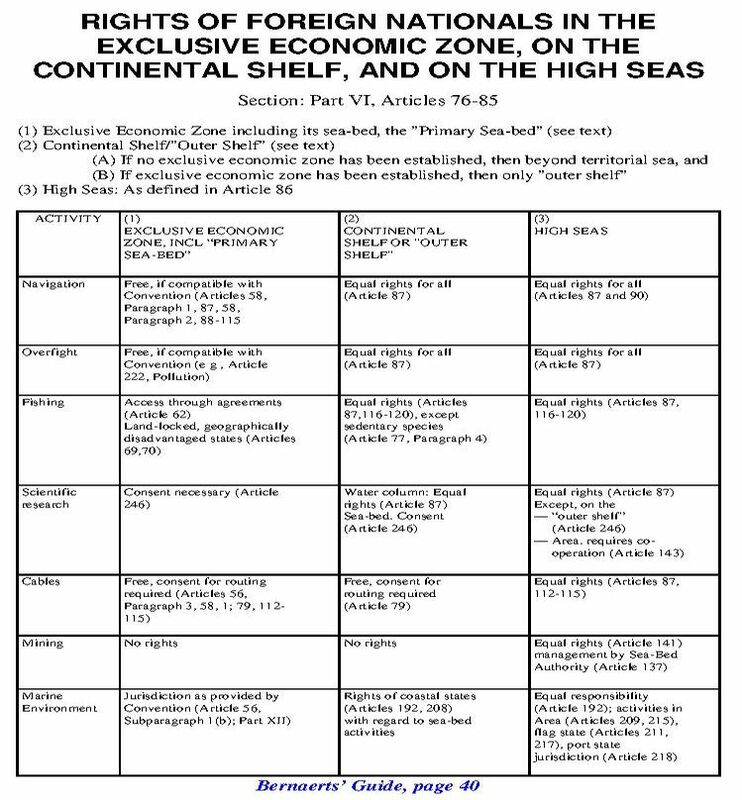 To avoid confusion, one should speak of the "sea-bed of the exclusive economic zone" or, synonymously, the "primary sea-bed," and call the sea-bed beyond the limits of the exclusive economic zone the "outer shelf." 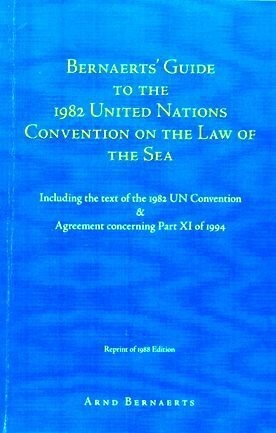 The "outer shelf" would be governed by an independent legal regime under the application of the provisions of Part VI for the "continental shelf" only. The sovereign rights of the coastal state always include the exploitation of living organisms belonging to sedentary species, drilling, tunneling, and the use of artificial islands, installations, and structures. On the outer shelf beyond the 200 mile limits, the coastal state has no rights with regard to the superjacent waters to the sea-bed and the air space above those waters. It must avoid interference with navigation and other rights and freedoms of other states as laid down in the regime of the high seas. The coastal state must make annual payments or contributions to the Sea-Bed Authority for resources exploited from the outer shelf, beginning five years after the start of production and increasing yearly to a maximum of seven percent of the value or volume of production at the site. The delimitation of the outer shelf is to be undertaken by the coastal state on the recommendation of the Commission on the Limits of the Continental Shelf; corresponding charts and relevant information are to be deposited with the Secretary-General of the United Nations or the Secretary-General of the Authority (charts showing outer limts) and published. The coastal state can exclude compulsory settlement of disputes which might arise from delimitation of the outer shelf where other states have opposite or adjacent coasts.